The Charles Darwin £10 note will cease to be legal tender at 23:59 GMT on 1st March 2018. Time to reflect… and to announce our new newsletter. 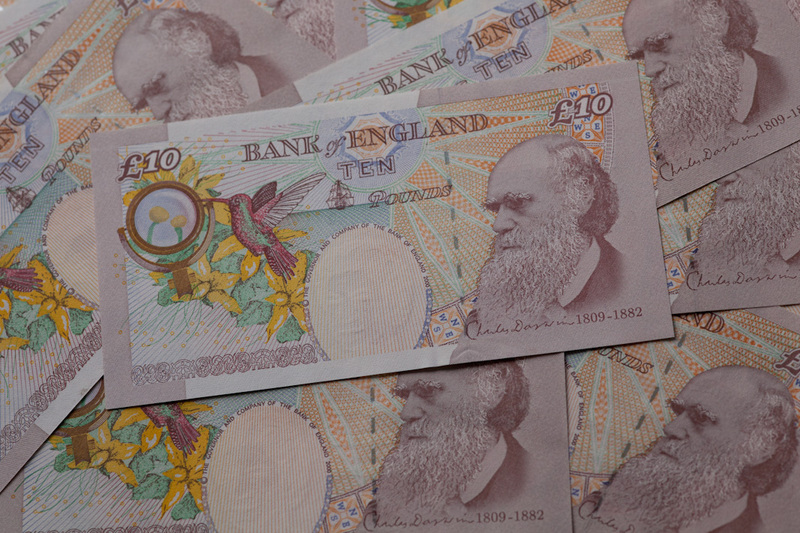 Nine years ago today, on 17th May, 2000, the Bank of England issued a press release announcing its plans to depict Charles Darwin on the new £10 note. Fighting against plans for a major property development in Darwin's beloved Maer.